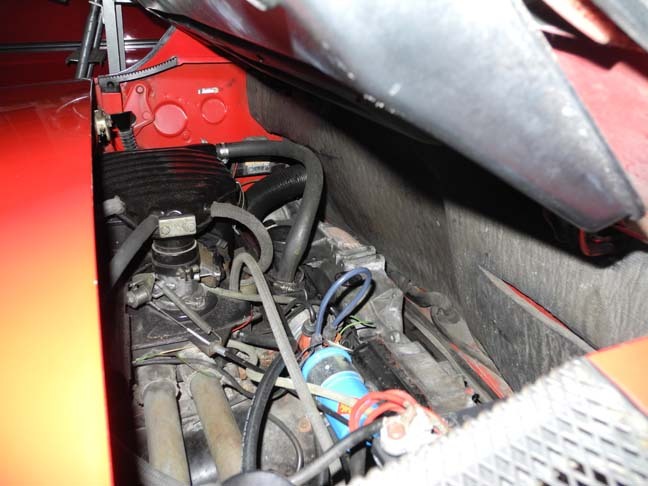 Highly original 1975 2.0L, D-jet FI, VIN# 4752902931. Fully loaded, extensive documentation including original window sticker. Ready to enjoy right now with the benefit of unlimited future potential. $18,500. This car was out of service since 2007, covered with a car cover and tarp. 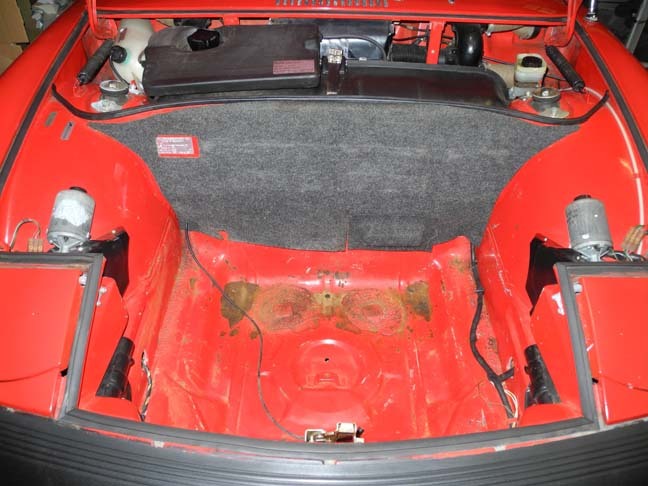 A pair of 914 enthusiasts rescued the car from the second owner and worked on the mechanicals and cosmetics to give the new owner a car that can be enjoyed now and gradually restored as a survivor or taken off the road for a full-on restoration. 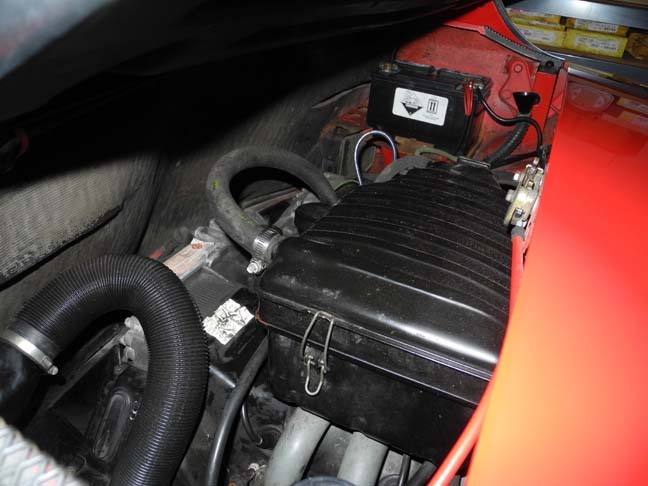 During that process many parts were replaced with correct used components known to be fully functional: distributor, MPS, pedal cluster, accelerator pedal. 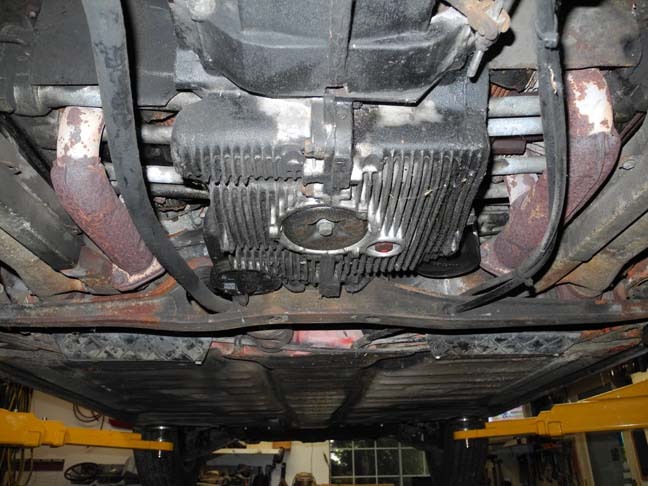 In addition, PMB rebuilt calipers, an accelerator cable and a 914Rubber master cylinder were added. The body is extremely straight and solid with excellent body gaps on all panels, including the difficult headlight doors. The front inner fenders are pristine and the jack posts and longitudinals are likewise flawless. 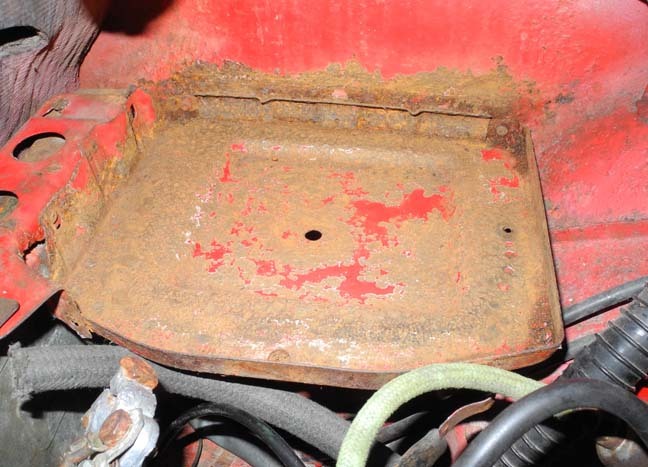 The battery tray is fully intact with light surface rust, no perforations and remnants of original paint. The hellhole is solid. 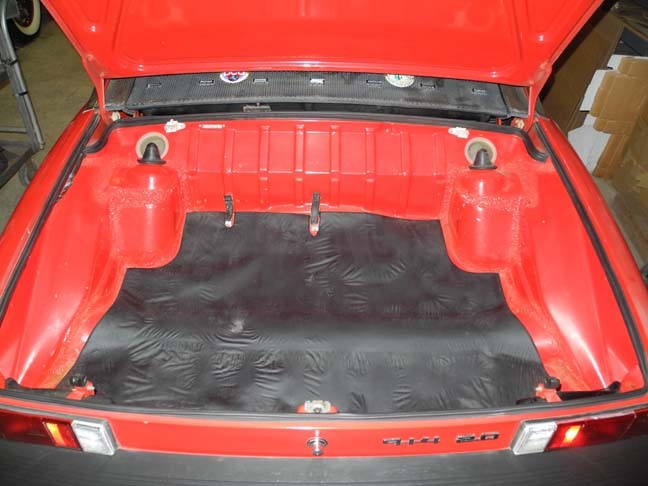 The doors, both trunks and engine lid open and close smoothly with that satisfying click. 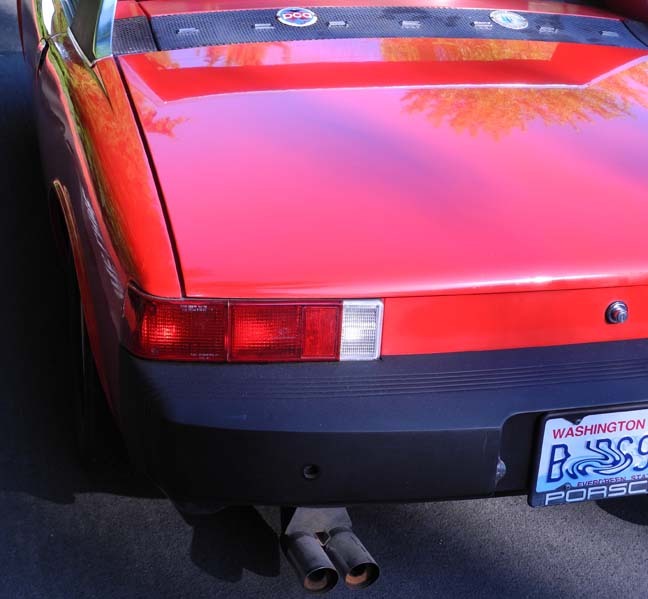 The bumpers and covers are in excellent shape as is the vinyl and shiny trim on the targa bar and sail panels. Front and rear valances are in very good condition. The interior is beautiful and a real strong point of the car. 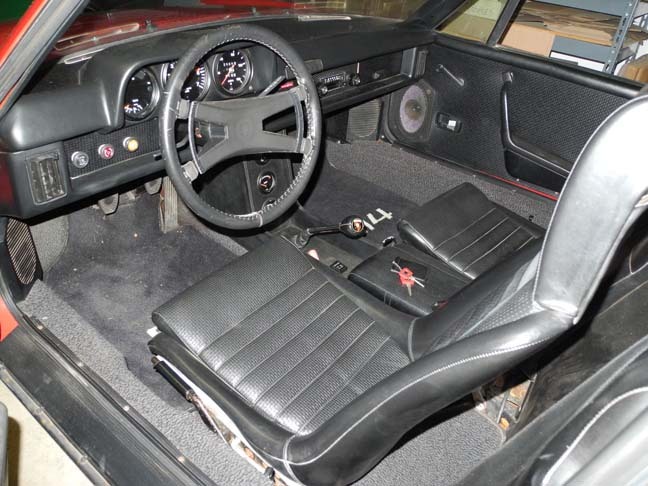 The seats, dash, backpad and carpets have no rips, tears or cracks and show very little wear. The door panels are in excellent condition, except that they've been cut for aftermarket speakers. 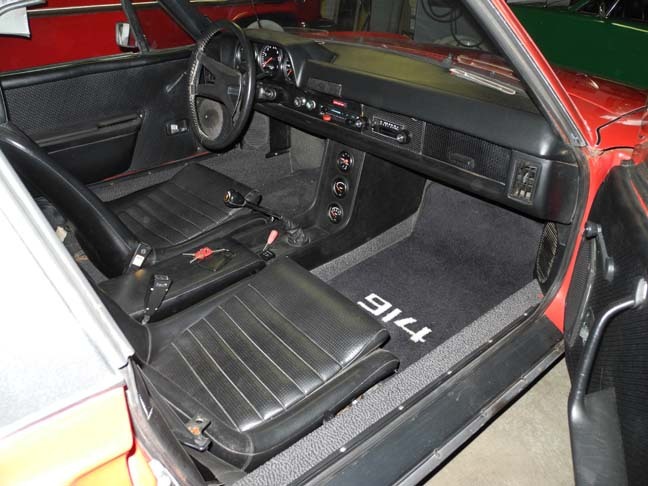 (note: 914Rubber has correct reproductions for the '75 door panels.) the windows roll up and down smoothly. Even the interior light in the backpad works, although it does have a crack. Note: the floor mats pictured are not included in the sale. The paint is about 90% original. Part of the right rear fender was repainted and is flaky and chalky at the rear edge. There is a small bit of bubbling in a couple of spots: top of left rear fender and top of right front fender near the cowl. The front hood has some rock chips and light crazing. 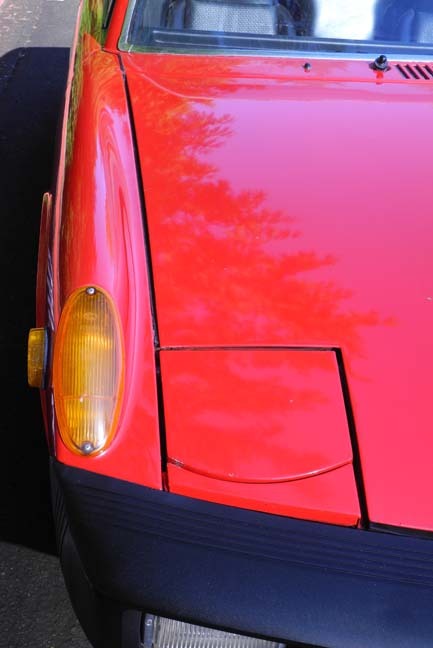 Overall, the paint is in remarkable condition for it's 45 years, with smooth, shiny surfaces and very few other chips. It's a very nice 10-footer. A note about the color: the paint code on the door tag is L31M (Scarlet Red). 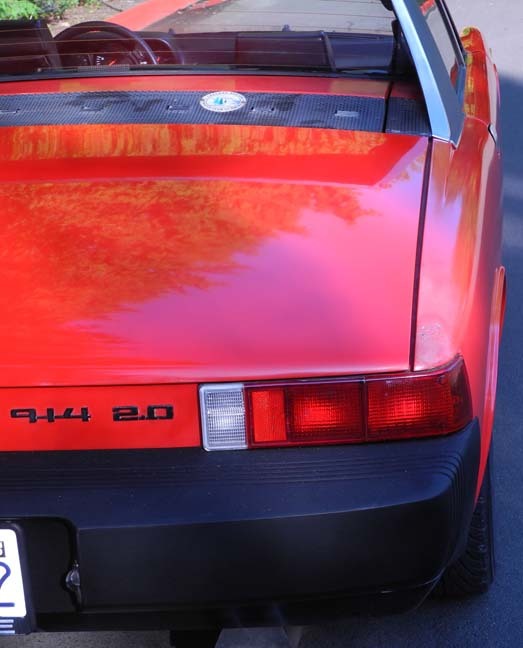 The window sticker lists a $405 charge for "Color to Sample"; and the original owners manual lists the color as 1.RED (SPECIAL 911 COLOR). It appears to be very close to Guards Red in person. The new owner will have some areas to address: back window needs to be re-glued, seat belts need to be cleaned for easy retraction, needs new driver's visor, targa top is not original to the car and needs new seals, engine bay and bottom side needs cleaning and detailing, right headlight pops up but doesn't go down on it's own. 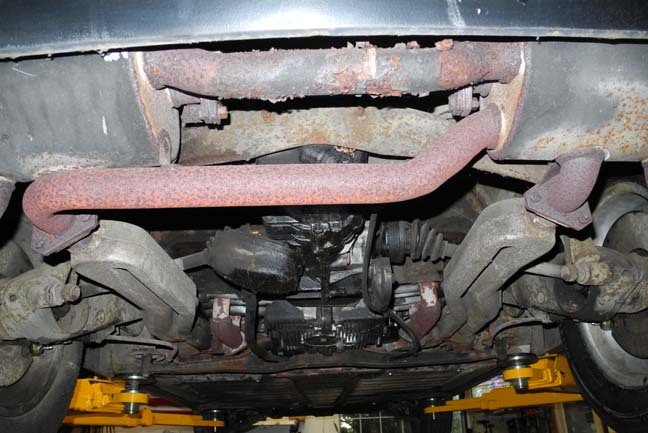 The Anza exhaust is aftermarket and is easily replaced if desired. Note: a nearly new (~200 mi.) Bursch exhaust has been obtained and is included in the sale. 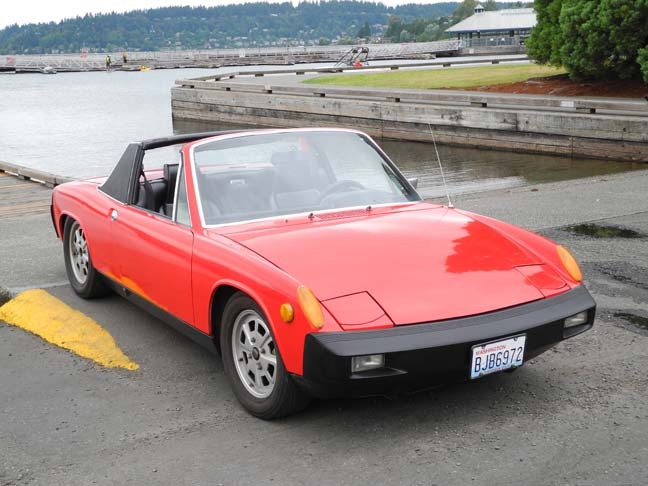 It's a great driver: starts easily, idles steadily at 1k rpm, revs freely to redline, shifts like butter, stops perfectly and handles the way a 914 should handle. No leaks. The option list, as shown on the window sticker, includes: front and rear sway bars, Bilstien shocks, driving lights, heated rear window, Fuchs alloy wheels, Appearance Group, intermittent windshield wiper, tinted glass. 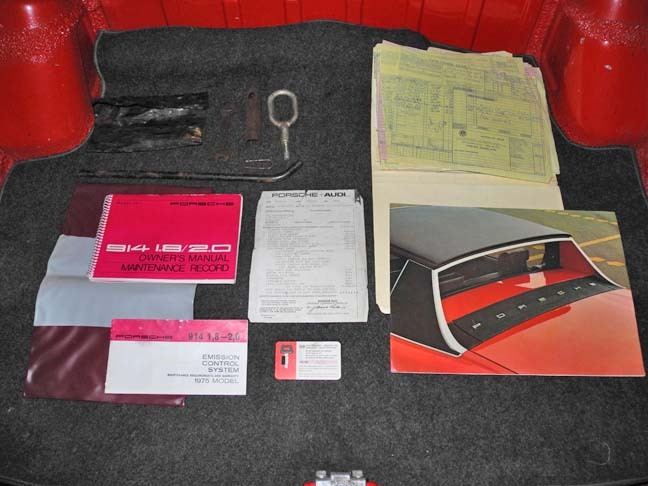 In addition to the window sticker, the sale includes the original owner's manual, key pouch with red keys, key tag with original dealer code, tool pouch w/tools (screwdriver missing), extensive receipts back to the original owner, etc. Cars like this don't come along very often. I'l be happy to answer any questions an interested buyer may have. The force is strong on this one. The lower rear firewall is excellent as are the floors. Orig GREEN Bilstiens on all 4 corners. The Fuch wheels are beautiful. Zero oil canning and original paint on the front trunk leads one to believe it's never been wacked. Ready for fun...ready for the next level. What's it worth for original paint on a super straight body? What's it worth for a beautiful interior with no rips or cracks? What's it worth for well sorted, original D-jet fuel injection? It may just be the pictures and the angle but it seems like along the bottom of the doors and other areas there are a number of surface imperfections that based on my completely insufficient knowledge could be indications of past repairs? 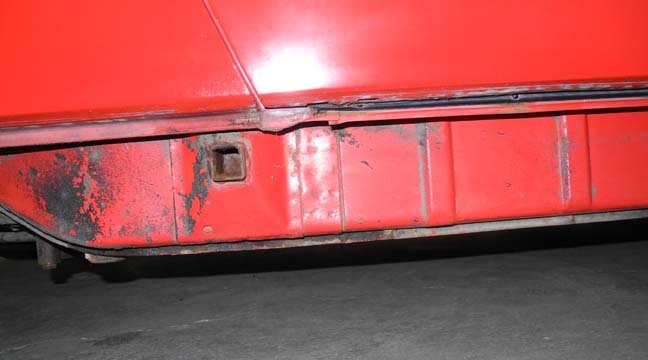 Were any of the body panel repaired as part of the repaint? I think it's primarily the angles and lighting. The only area I think has been repainted is the right rear fender as I disclosed. I haven't detected any damage to panels beyond that. I agree Red is a hard color to photograph, lighting has to be just right. Good luck on selling your car, 18,500 is a very fair deal. I agree. I think it's the angles and the flash. This is a really nice car... a survivor. The question got me curious, so I ran my cloth covered magnet over the entire car and could find no trace of any filler, even in the right rear corner which has been repainted. Every panel is smooth, solid and properly aligned except the small defects noted in the ad. I did not mean to imply there was and I apologize if that was how you took it. It is a cool car and like others have stated it is hard to tell from pictures. But that resolves it for anyone else that may see it! No offense taken. I'm glad to hear questions and observations about the car. The more I've been around it, and lately, driving it, the more anxious I am to share it's features. I'm convinced the new owner is going to really enjoy it's unique qualities. Did I miss the mileage? Very interesting that it has a L31M tag but says paint to match on the sticker. It sure looks like my 1975 Scarlet Red car but lighting in photographs can play havoc with colors. Mileage on the odo is 124xxx but the owners manual has a dealer stamp that indicates the speedo was replaced at 14xxx, so I think it's about 138xxx. 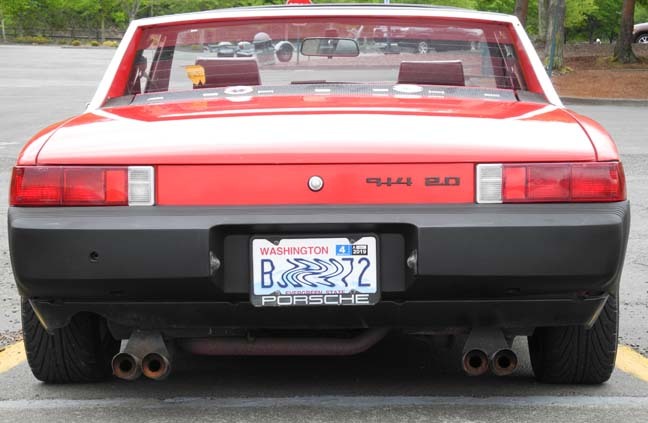 Just purchased a nearly new (approx 200 miles) Bursch exhaust for '75-'76 2.0 to be included in the sale! 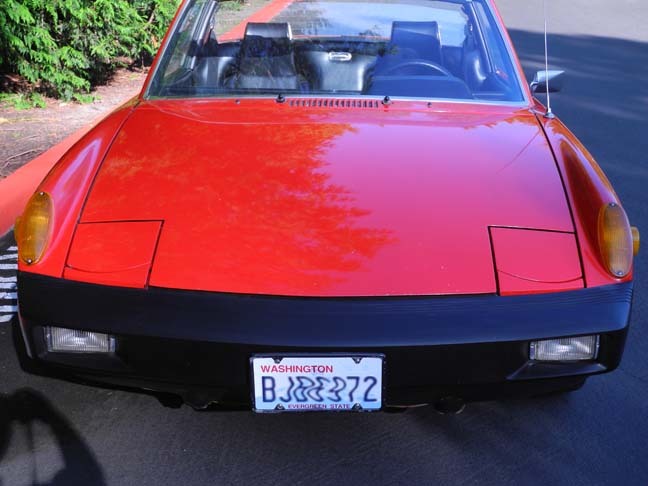 Hi, I'm new to 914's, and I'm trying to understand the high value in this car? I'm in the market for a clean, no accident driver, preferably no rust. 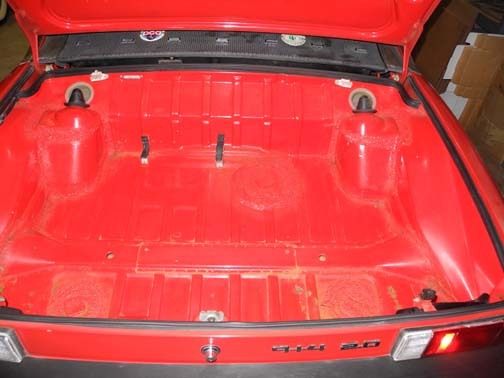 Based on my conversations and research, rust is a 914 killer, in addition to other wear and and tear issues. 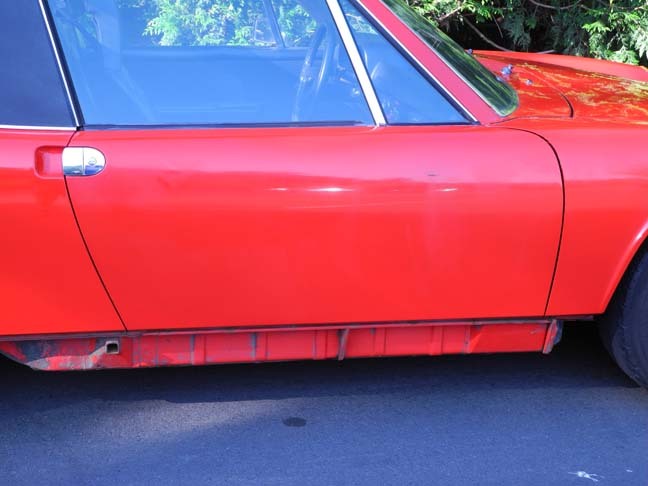 This 914 appears to need some rust repair (?) in addition to some other minor repairs. 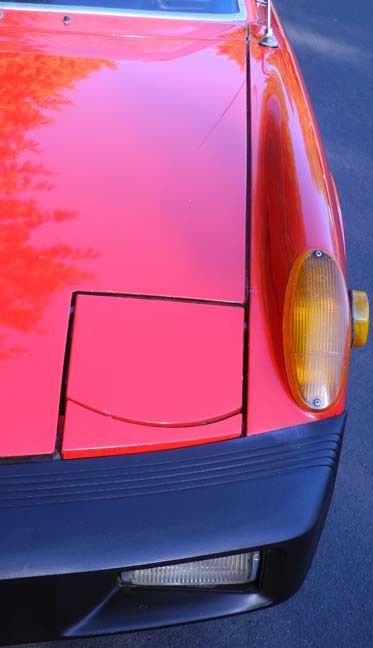 I understand this 914 is original, but doesn't this also apply to the engine , transmission, and all of the other wear parts? Thanks for our help, an I look forward to learning more. 1. 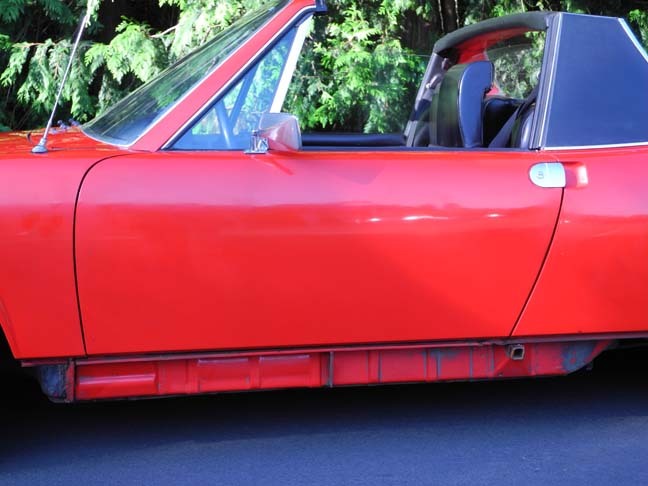 The body of the 914 was not galvanized. So there will always be some rust, and unless the car has had a "body off" restoration, then that "vaule" just alone would be more than 15K. 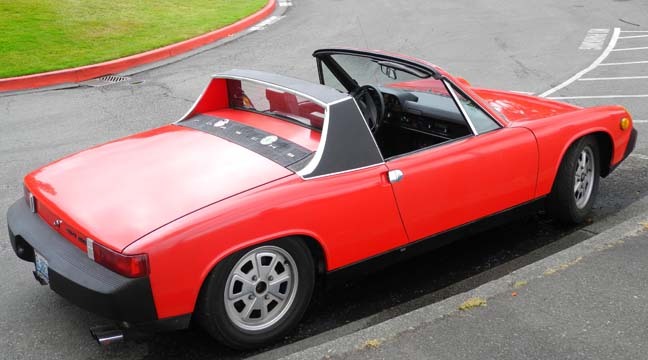 Since that is obviously not the case here, I would look at this as a perfectly intact example of a stock configured 914, late model with all the major stock configurations still there and the value is perfectly justified. 2. If this were a "body off" restoration, the value would be in the 30k range. 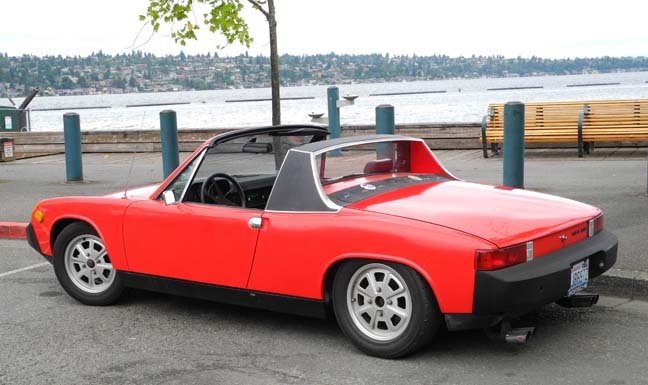 My opinion owning a 914 for more than 15 years, so I am not new to them. It's what you don't have to spend $ and the days, weeks, YEARS all rolled up. It's what your not going to pay buying and shipping parts all over the country. It's what you would (should) expect for a 2 (one long time) owner car that hasn't been flogged.